Filling your Amazon Kindle with books is just a few clicks away. Downloading books to your Amazon Kindle is easy. This quick tutorial will teach you how to deliver the unparalleled selection of books, magazines, newspapers and comic books that Amazon makes available, along with ebooks and other documents you may have on your computer, to your Kindle where you can read and enjoy them. If you own a Kindle, you’ll naturally wind up buying a book from Amazon’s Kindle Store to read on it. 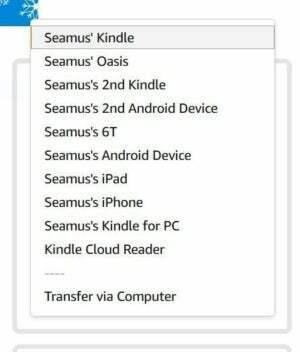 If you’re using your computer to purchase a new book or periodical to read on your Kindle, follow these steps to ensure that it’s instantly transferred to your device. You’ll find the purchasing options for the book you want to buy on the righthand side of the webpage. Just below the Purchase/Buy now with 1-click button, you’ll find a drop-down menu labeled Deliver to. Any Kindle e-readers or Amazon Kindle apps on your smartphone, tablet, or computer that are associated with your Amazon account, will be listed on this menu. The ‘Deliver to’ menu lists all of the Kindles and apps associated with your Amazon account. 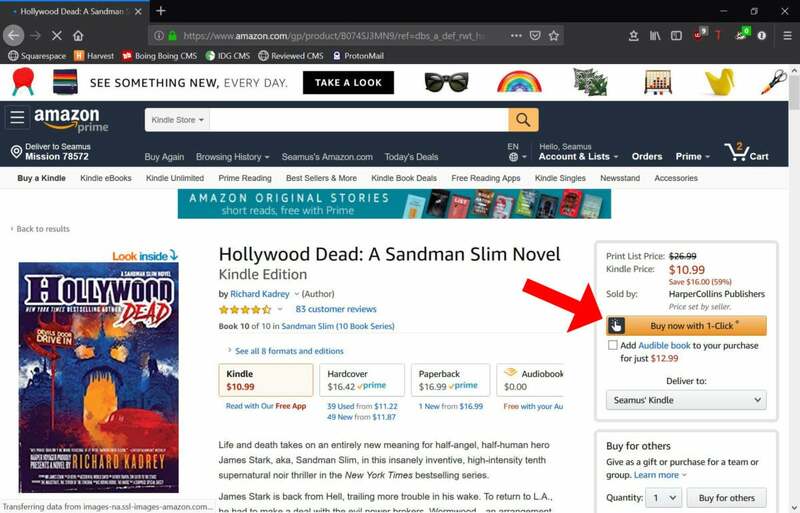 To select the destination device for the new book that you’re about to purchase, click the menu to open it. Select the intended device or app. Now, make your purchase. The book or periodical you just purchased will be sent to the device of your choosing, instantly, via Amazon’s Whispernet. If you accidentally sent your new purchase to the wrong device or decide that you’d like to read it on multiple devices—your iPhone and your Kindle Paperwhite, for example—move on to the next section of this guide. If you want to read a book, magazine or other periodical that you previously purchased, your Kindle’s operating system makes doing so easy. The following directions are also valid if you’d like to download a new book or periodical to read on more than one device or Kindle app, at the same time. To start, turn on or wake your Kindle by pushing its power button or, if it is equipped with a cover, opening the cover. 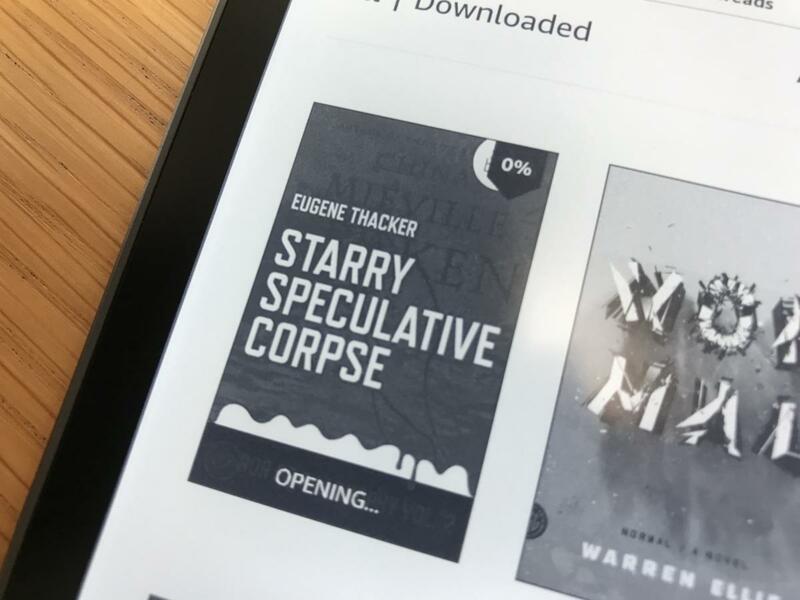 If necessary, navigate to your Kindle’s Home screen, by tapping the top of the device’s display and then tapping the Home icon at the top of the display. 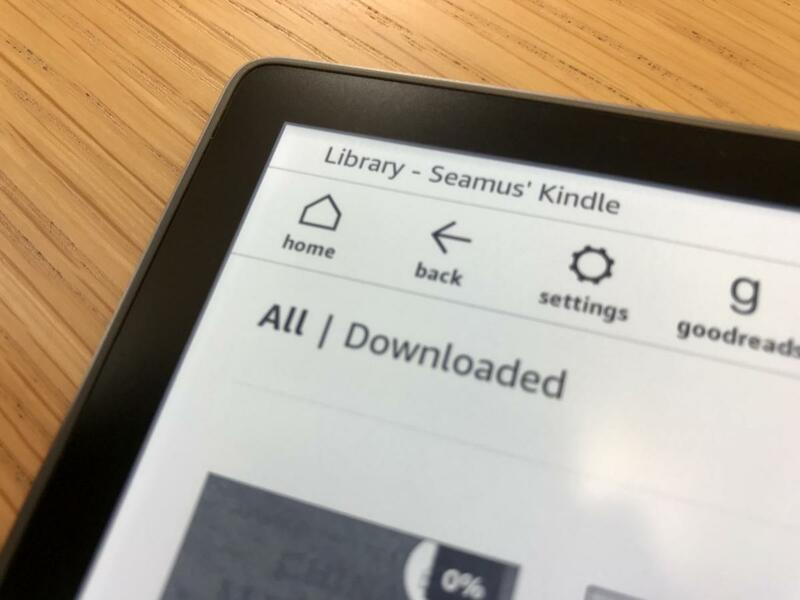 To download previously purchased books, audiobooks or periodicals, navigate to your Kindle’s ‘All’ tab. Once you've returned to your Home screen, you should see two words on your Kindle’s display, located directly underneath the home icon in the top left corner of the display: All and Downloaded. Tap the word All. Doing so will open a list of all of the books, other publications and audiobooks that you’ve bought from Amazon or Audible to use with your Kindle. Browse through the list and tap on the item that you’d like to download to your Kindle. Provided your device is connected to a Wi-Fi or cellular connection, the content will be downloaded immediately to your Kindle. Now, tap Downloaded: Doing so will allow you to see all of the local content currently downloaded to your Kindle. The book or periodical you just downloaded should be there, waiting for you.